Do you know what today is...? 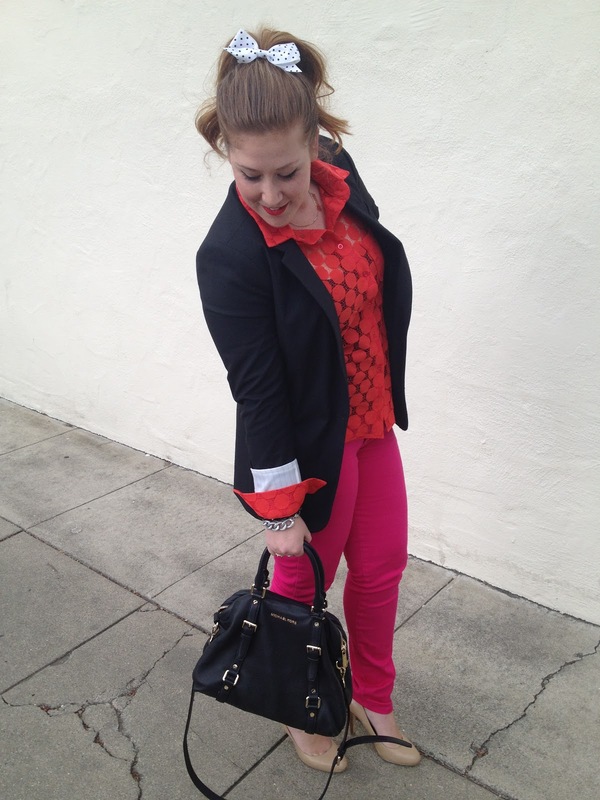 Ahh love mixing red with pink! 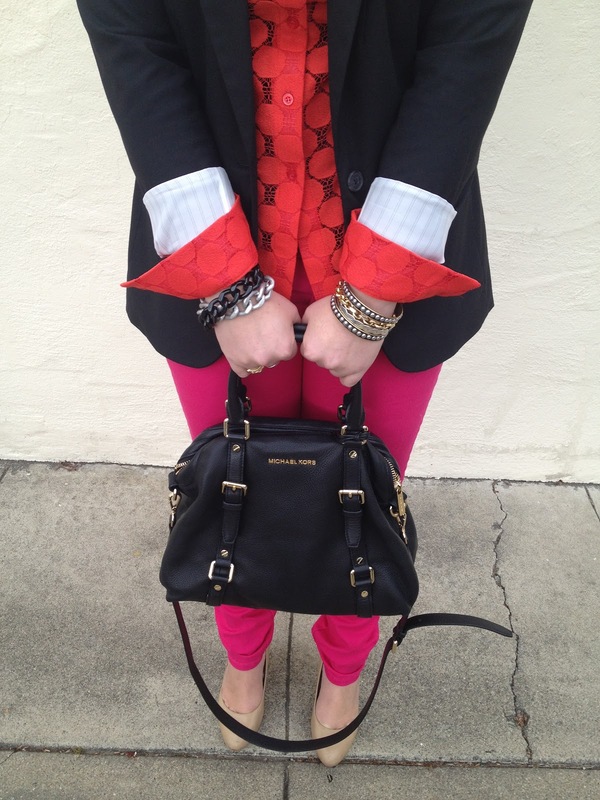 Looks great + love your bag girl! THANK YOUUUU!! You are such a sweetie! UH-DOR-ABLE!! Love that bow- it's so Blaire in Gossip Girl! So jelly about the great Poshmark score!!!! That bag is to die for! Isn't it the bomb!! I had to have it! Amazing!!!! Your pants are KILLER. 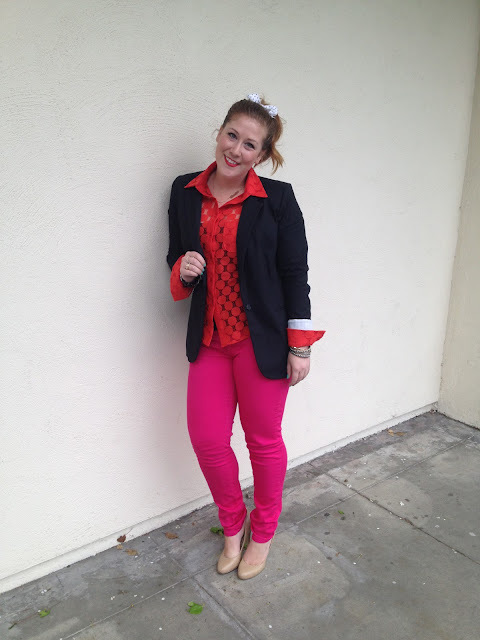 I love the color in this outfit. 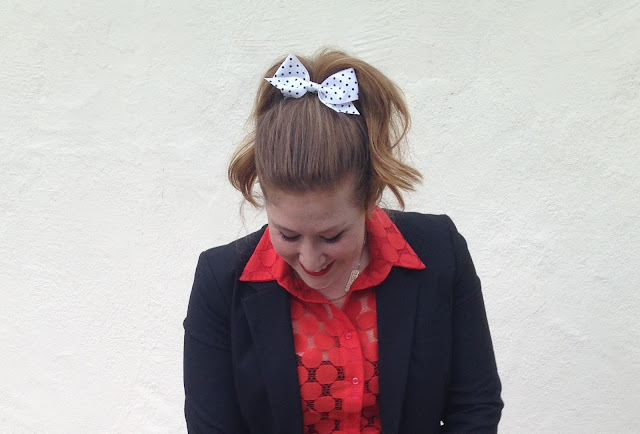 I love bows, and especially if it's a polka dot-print bow :D ! I see you're addicted to polka dots just like me :) . Isn't it the best pattern in the world? 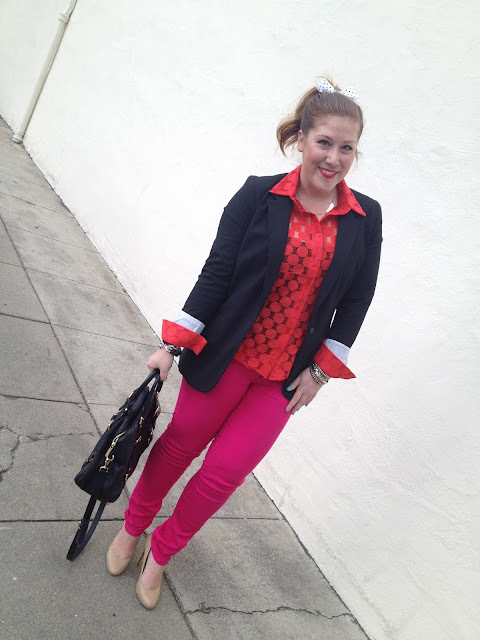 Loving this color combo - and that red blouse is too cute!